Joseph was the fourth son of Thomas Armstrong. He went to Bruce's School in Newcastle where Robert Stephenson was educated. There were many collieries in the area, and while still at school Joseph saw many colliery locomotives at work. At Wylam Colliery he saw two of the early locomotives, Puffing Billy and Wylam Dilly, which still survive and are now well known. The sight of these engines inspired him to take up a career in mechanical engineering. On leaving school he started work at Walbottle Colliery near Newburn, under the colliery's engineer, Robert Hawthorn. Robert's sons, Robert and William, later established the famous Hawthorn Locomotive Company in Newcastle. Joseph’s father, Thomas, was friendly with George Stephenson and Timothy Hackworth. They met Joseph on their visits to Newburn, and greatly encouraged him in his career. It has been suggested that Timothy Hackworth allowed Joseph to learn to drive some of the engines on the Stockton & Darlington Railway, while he was still at school. A drawing of a Gray 0-6-0 tender engine. In 1840 Joseph obtained the post of engine driver on the Hull & Selby Railway, under its engineer, John Gray. John was one of the most progressive engineers of the day. He was the first to break away from the idea that a low centre of gravity was essential for safe running. His locomotives were some of the best at the time, and used his own efficient Gray’s expansion gear. Joseph was soon promoted to the position of foreman of the running sheds and shops at Hull, under Thomas Cabrey. The Hull based locomotives were designed by John Gray and so were of great interest to Joseph. 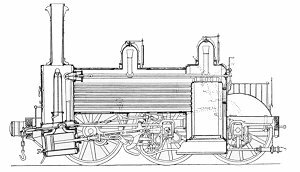 In 1845 John Gray became Locomotive Superintendent at the London & Brighton Railway, where he designed similar, but larger engines. Joseph followed John Gray to Brighton in 1845 and was appointed foreman. The following Year Gray left the railway and so did Joseph, who obtained the post of Assistant Locomotive Superintendent of the Shrewsbury & Chester Railway. The works were located at Saltney near Chester, and Joseph worked for Edward Jeffreys who was the Locomotive Superintendent. A Shrewsbury & Chester Railway 0-4-2 tender engine. Joseph married Sarah Burdon in 1848 at Chester. Two sons, Thomas and John were born there. Sarah’s brother John Burdon married Joseph’s sister Rebecca. In 1852 Jeffreys resigned and Joseph stepped into his shoes. He was soon promoted to manager of the Low Moor Iron Works. In 1853 the Shrewsbury & Birmingham Railway and the Shrewsbury & Chester Railway were operated as one railway by a joint committee, and Joseph moved to Wolverhampton, where he was in charge of the locomotive stock. In September 1854 the company amalgamated with the Great Western Railway to become its Northern Division. At Wolverhampton Joseph produced his first locomotive designs which were simple and reliable. In Wolverhampton Joseph and Sarah had another 4 sons and 3 daughters. Their 3rd son, Richard died in his first year, the other three boys went to Tettenhall College. The college was preferred to the Grammar School by non-conformists because of the Grammar School’s Church of England traditions. Daniel Gooch was the company’s Locomotive Superintendent at Swindon. In 1864 he resigned, aged 48, to undertake the laying of the first transatlantic cable. Gooch did not leave the company, he became its Chairman. Joseph was given his job and moved to Swindon to be replaced at Wolverhampton by his brother George. A Swindon built Armstrong 2-2-2 express engine. Joseph was a benevolent manager who always looked after the company's employees. He introduced many improvements for their welfare, including ventilation, lighting, cleanliness, labour saving devices, extra safety precautions, and improved the general staff comfort. During his first years at Swindon the Southern Division was still broad gauge, and the works continued to build locomotives that had been designed by Daniel Gooch. His designs were so advanced that Joseph was happy to continue using them. A new house was built for Joseph and his family. It was situated to the west of the church and was called Newburn House, after the town where Joseph spent his childhood. Joseph was an ardent Wesleyan Methodist, and went to the Farringdon Street Chapel. He was also a local preacher. In 1868 things were about to change at the works, because the company directors decided to replace the existing broad gauge with standard gauge, and so a new locomotive building programme was planned. Joseph was responsible for the production of all the new rolling stock that was required. To assist him in the project he sent for William Dean from Wolverhampton, who was 28 years old and became his chief assistant. Over the next nine years Joseph designed and oversaw the construction of large numbers of standard gauge locomotives and rolling stock. He also carried the responsibility of controlling nearly 13,000 employees on the railway as a whole, and carried out many public duties. By 1877 the strain was beginning to show and his health suffered. He was taken ill during a meeting at Newport, and reluctantly decided to take a break from work. He intended to travel to Scotland and take three months rest. On his journey he stopped off at Matlock for a few days, but again fell ill, and died on 5th June 1877, aged 61. He left a widow, four sons and three daughters. The funeral took place on the following Saturday at St. Mark's Church, Swindon, and large numbers of representatives arrived from all corners of the GWR to attend the ceremony. Also present were many officials from the other railway companies including William Stroudley from Brighton. About 2,000 Swindon workmen followed the procession from Newburn House to the church, and about 6,000 people surrounded the church to pay their last respects. Joseph was buried in St. Mark's churchyard on the east side of the church. His grave was close to that of his fourth son George, who died four years earlier at the age of twelve. George died at his boarding School, Tettenhall College, after a cricket match. Sarah outlived her husband by eight years and then joined him in the same grave. 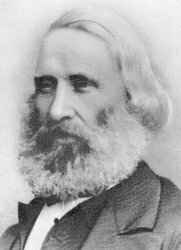 During his time at Swindon he was President of the Mechanics Institute, and Chairman of the Swindon New Town Local Board, which was set up in 1864. He was also involved in the Medical Fund Society, and the Sick Fund Society. He was a director of the Swindon Water Works, a trustee of the Swindon Permanent Benefit, Building and Investment Society, a promoter of the Cottage Hospital, and President of the GWR Enginemen's and Fireman's, Mutual Assurance, Sick and Superannuation Society. He also produced the town's first public park, which was built on the old neglected cricket ground.